The same PeopleSoft and Oracle training materials we use to train our clients are available for purchase online. These courses are valuable tools that teach new skills and enhance existing knowledge. Our virtual PeopleSoft Training, PeopleSoft All Access Learning Pass, and downloadable PeopleSoft courses include step-by-step demonstrations and comprehensive study guides, making them invaluable resources for self-motivated learners.  Access the full online portfolio of PeopleSoft 9.2 HCM & ELM Training available from SpearMC. This training was developed from the ground up, incorporating latest Fluid UI, ESS/MSS concepts up to PUM Image #28 and Tools 8.56. Engage with interactive training content that’s available 24/7 to learn how to successfully implement and use PeopleSoft Human Capital Management applications. 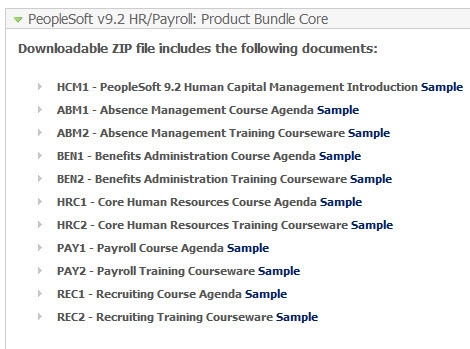 This all-inclusive subscription gives you access to all of the HCM modules and training featured below. Access the full online portfolio of PeopleTools 8.56-8.57 Training available from SpearMC. This training was developed from the ground up, incorporating latest Fluid UI, Web Services, ElasticSearch, PeopleCode, DPK, and OCI concepts. Engage with interactive training content that’s available 24/7 to learn how to successfully develop, test, implement and expand upon PeopleSoft through the use of PeopleTools. This all-inclusive subscription gives you access to all PeopleTools modules and training featured below. Access the full online portfolio of PeopleSoft 9.2 FSCM Training available from SpearMC. This training was developed from the ground up, incorporating latest Fluid UI, Workcenters, Dashboards, Advanced Reporting, Pivot Grids, and FSCM User Self Service concepts up to PUM Image #26 and Tools 8.56. Engage with interactive training content that’s available 24/7 to learn how to successfully implement and use PeopleSoft Financials and Supply Chain Management (FSCM) applications. This all-inclusive subscription gives you access to all of the FSCM modules and training featured below. Course Duration: 16 Hours Course Code: MAX-101 Course description: The PeopleCode accelerated course consists of sixteen hours of instructor-led demonstration. This class was recorded from a live online course. Individuals who purchase the courses are able to perform course exercises on their own PeopleSoft environment utilizing their own installed version of App Designer. All materials from the instructor demonstrations and for the student exercises are available for download from the Go-To-Training site. Course Time: 16 Hours Course Code: MAX-102 Course description: The PeopleTools Accelerated class consist of sixteen hours of instructor-led demonstration. This class was recorded from a live online course. Individuals who purchase the courses are welcome to perform the available course exercises on their own PeopleSoft environment utilizing their own installed version of App Designer. All materials from the instructor demonstrations and for the student exercises are available for download from the Go-To-Training site. Downloadable Instructions to access pre-recorded on-line course. This serves as a prerequisite foundation course for both FMS and HCM. Webinar is 4 hours long from a recent PeopleSoft v9.1 Foundations Class. Upon purchase customers have the ability to download course recording. Course recording may be accessed an unlimited number of times in 30 days. Downloadable Instructions to access pre-recorded On-Line Course (via Webex). Upon purchase customers have the ability to download on-line course recording. NOTE: Test Scripts and Test Plans are in editable format. NOTE: Training Guide is in Adobe PDF format. Test Plans are in editable Microsoft Excel format. What I liked best was the step by step demo, comprehensive study guide, and material. I got a good explanation of the 'whys' of the processes I already do; about the other functionalities and tools that I would not have known otherwise.